After several weeks of conception, tests and confection, we are proud to welcome our new client, Pizzeria Mozz affiliated with the Rotisserie au Coq. You can now enjoy the excellent pizza in Laval at 54 Boulevard Cartier West. Thank you for your confidence on this custom bag project. We know just how important it is for you to deliver to your customers pizza as warm as just out of the oven and we are happy to support you in this mission. 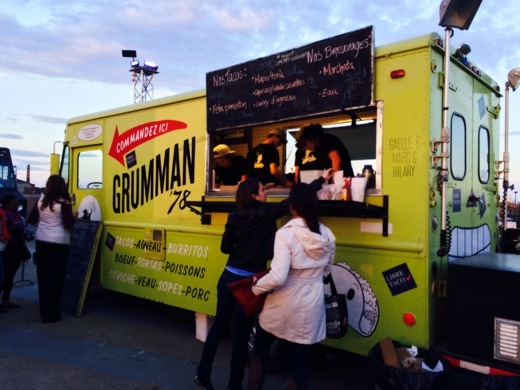 Last Friday was the launch of the 2015 food truck scene in Montreal, located on the Esplanade of the Olympic Stadium. More then 40 Food trucks where on the site and the offers were more than generous. Foodies had the choice between various offers, such as Gourmet Burgers, Tacos, Polk porc sandwichs, butter chicken, fresh oysters and crazy deserts such as homemade donuts and waffles. For the occasion, a large scene and big screen were installed.Visitors were able to watch the first game of the series between the Montreal Canadians and the Tampa Bay Lightning. Live shows were also presented throughout the evening. Regulars such as Le Pied de Cochon, Pizza no. 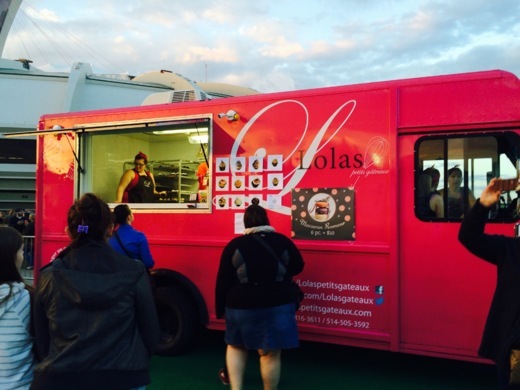 900, Das Truck and Lucille’s are back this year along with newcomers such as Decca 77, Queen B and Guru Caterers. The OCSA’s mission is to promote home and community support as the foundation of a sustainable health care system and in this capacity supports and is a key resource for the Meals on Wheels organisations of Ontario, just as the PRASAB is in Québec. Solpak will be putting its almost 10 years of experience in assisting Meals on Wheels programs to the benefit of the MOW of Ontario, in order to improve service to clients, food safety and operational efficiency as well as improving the environment. We are pleased to support the OCSA toward the attainment of their objectives and we also appreciate their support of our efforts. Members of the OCSA will benefit from the same discounts and special programs on equipment and accessories, scubas our thermo bags, as do the members of PRASAB. 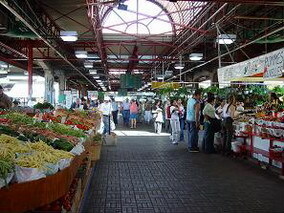 You will find a large variety of fresh local and seasonal products and also great tips and recipes to bring home with you.The marchants are waiting for you and are more than happy to serve you. Whether you go solo,with your sweet other or with the whole family,you’ll be sure you will have a great time! Jim Peplinski Leasing was founded in Calgary in 1990 . Jim Peplinski Leasing is a Canadian carrental company with offices in Calgary, Edmonton, Toronto, Montreal , and Quebec City. They specialize in serving companies with a fleet of less than 25 vehicles. They also work with individuals looking for an easy and professional solution to their personal needs for transport. Thank you to Jim Peplinski team for your constant support in the search for the right vehicle at great prices for Thermogo clients. Founded in 2012, Isabelle Mouton Communication is a new advertising agency, comprised of professionals as experienced as they are talented. Because every brand has its own particular essence, colour,identity, personality and vocabulary, Isabelle Mouton Communication draw on the services of a hand-picked team of independent collaborators. From graphic design to writing to translation, all of the creative partners have worked in the advertising and design industry for many years. This enables them to assemble tailor-made teams and meticulously respond to the needs of each client. Isabelle thank you for your direct support in the developmentof the trademark Thermogo ! Our partner Farmbro was incorporated in 1983 by Al Farmer with a staff mostly comprised of family members. Initially, the business was based on supporting Ford with upfitting solutions and mechanical expertise in the commercial and truck fleet sales industry. Early on, the business expanded its focus to all vehicle types dabbling in a variety of industry segments including truck caps, tires and retail automotive service. For over 30 years, Farmbro has repeatedly risen to new challenges and opportunities in a wide range of recreational and work vehicle applications. Thank you Farmbro for providing Solpak your services and expertise in the assembly our Thermogo components. Our partner Delivery Concepts Inc. was formed in August 1986. The main objective was at the time was to create and manufacture affordable, convenient and high quality delivery solutions especially for the food industry . For over 25 years now, Delivery Concepts Inc. has provided their customers with customizable temperature controlled transportation solutions adapted to the reality of many players in the food services. Delivery Concepts, thank you for trusting Solpak with the launch of Thermogo in Canada. This week, we would like to take the time to express our gratitude to our partners. We emphasize the support that you bring to Solpak’s adventure in the launch of Thermogo multi-temperatrure vehicles in Canada. 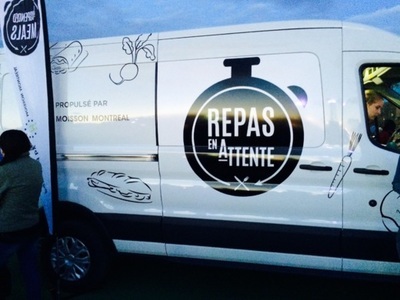 We would liketo thank: Delivery Concepts Inc , Farmbro Inc. Isabelle Mouton Communication and Jim Peplinski leasing. Your supportallows Solpak to offer multi-temperature transport solutions of exceptionalquality and up to your expectations. Keep an eyeout this week for a special mention of each of our partners. An insert oven in your actual delivery vehicle? Yes! It's possible!